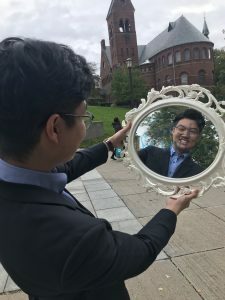 The “Mirroring” event on Ho Plaza leading up to the Cornell Reflect dinner, and as a part of Mental Health Awareness Week 2018, was a huge success! 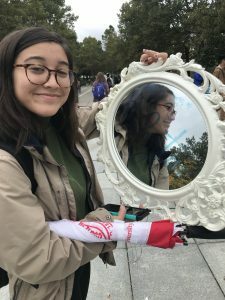 Volunteers were either standing at a table that had large, stationary mirrors to be written on, or they were walking around with a smaller mirror that already had writing on it and they were asking people walking by to take photos with the mirror. People walking by seemed so excited by this project. They were so happy to see the encouraging messages that others had left, and many people added their own messages too. 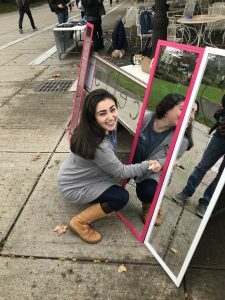 By the end of the day, the mirrors were absolutely filled, top to bottom, with these absolutely inspiring messages. Some of the messages were: You are loved, You matter, You are not defined by your GPA, and Everything will be ok. What was also so amazing was how much those who wrote the notes really seemed to care too; everyone was putting in a lot of thought to their messages, which wound up being really profound and meaningful. I don’t think I saw a single passerby who didn’t smile, once they realized what they were looking at. After messages were written, we also asked if people would take pictures either with messages they had written themselves, or others that they found inspiring. 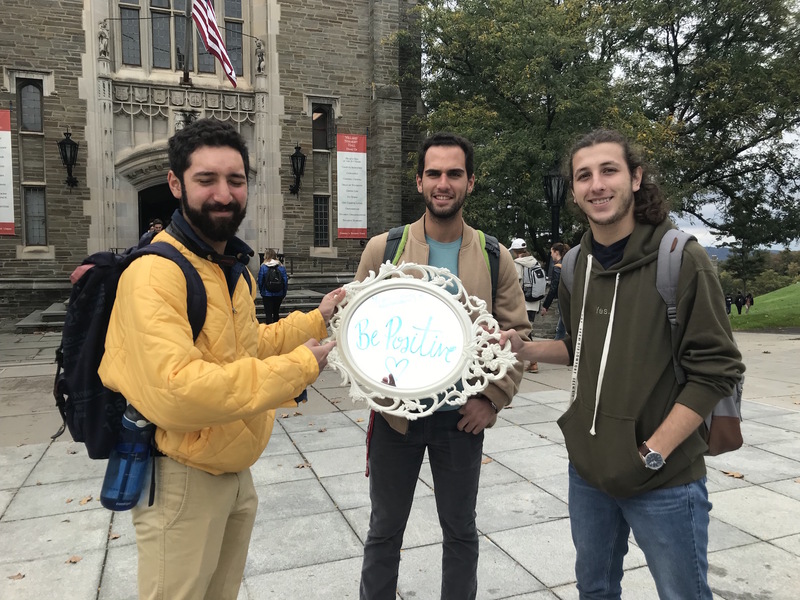 We submitted all the pictures to the Reflect at Cornell Facebook page, which featured them all day in their efforts to promote a free dinner that night, which allowed students to be open and honest with one another. 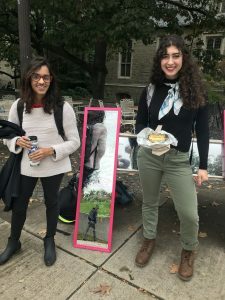 This fit in perfectly with the mirroring idea and was an excellent way to combine the two efforts and get a ton of people out for Mental Health Awareness Week!